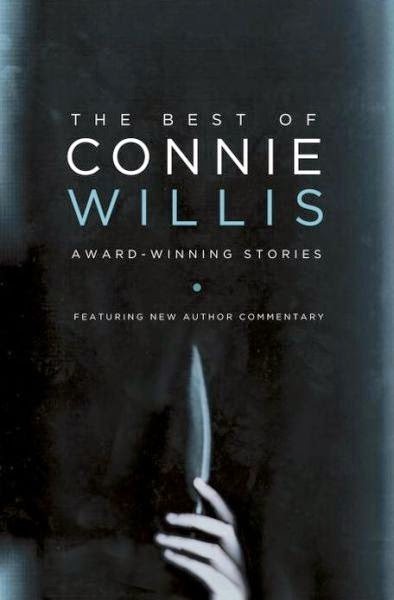 The book that motivated my Short Story Summer project was the brilliant The Best of Connie Willis: Award-Winning Stories. It's a 450+ page book with only 10 stories and a couple of speeches. But it is a collection of some of the best science-fiction out there and each story is followed by an Afterword that gives us insight into why Willis chose to write them. The common factor? She wrote each of them out of love for the subjects, love for people, love for words. 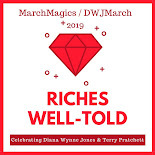 My favorite story was Fire Watch, a time travel story from my favorite alternate history series (that of Blackout and All Clear) that I had been waiting a while to read ... until I read The Winds of Marble Arch and my mind was blown. It's the type of story that you can't really describe except to say that it is a complete fantasy that is also entirely believable. This will be a collection that I return to regularly. 'Fire Watch' and the novels it inspired, Blackout and All Clear, are some of the best stories about the blitz I've ever read. If you've not read those and some of Connie's other time travel novels, The Doomsday Book and To Say Nothing of The Dog, you're in for a treat! I haven't read The Winds of Marble Arch, but will check it out as soon as I can! Thanks for the heads up. Oops, never mind! You're miles ahead of me. I should have checked your review list before hitting 'publish'. Lol ... no worries! I absolutely love those books. I've only read each of them once though and reading Fire Watch made me want to immediately go back and read all of them again! Do you know I STILL haven't read anything by Connie Willis? I seriously need to fix that :/ What should I start with? Her time travel series is awesome. I would start with one of these two: To Say Nothing of the Dog (funny and a bit crazy) or Blackout/All Clear (amazing but a big time investment since it's actually two big fat novels). I would definitely start with To Say Nothing of the Dog, particularly if you like absurd humour and the Victorian Age (which is inherently absurd), or Doomsday Book if you want something more serious and historical (Middle Ages, Black Plague). I think someone who has never read Willis might find Blackout/All Clear a bit overwhelming, because of its length--if you don't already know how Willis works, you might give up before the payoff, and that would be a shame. I picked this one up when I saw it at a bookstore and I'm so glad I did! Winds of Marble Arch is amazing. I also think Even the Queen is a hilarious little story; I've always liked it. Thanks for alerting me to this! I love Connie Willis, especially her humorous stories (Bellwether is another funny novel that I enjoyed). Bellweather is sitting on my tbr right now. I didn't realize that it was funny. I'll have to read it this summer or fall!